Buying brand name gifts can be beneficial for your brand. Gifting prominent brands allows your recipients to truly feel your generosity, owing in part to associations with high-perceived value and high quality. Basically giving your business partners big brand promotional gifts is the gift that keeps on giving! 90’s athletic mega brand Champion® is back and bigger than ever thanks to 90’s mania and athleisure trends. Their comfort married with style designs have been around for years and with their recent massive comeback, expect this brand to stay a household name for years to come. Stay trendy and keep your brand top of mind even on the go with the Champion® backpack in the Seasonal Idea Book. Canadian-based outdoor brand Arc’Teryx has been creating outerwear note-worthy for its design, quality and simplicity for years. Reducing the effects of weather, streamlining use, and moving efficiently creates a timeless, outdoor experience. Having your brand prominently displayed on high-quality outwear items like the Arc’Teryx jacket allows positive impressions wherever the delighted recipient goes. Moleskine® has defied all odds and continued to grow even in this digital age. Instead of simply staying the course with their classic notebooks, this recognizable brand has shown an aptitude for change and has successfully and noticeably entered the digital realm. The new generation of Moleskine® Paper Tablet and Pen+ transfers your notes from page to screen in real-time, bringing your ideas to life. In today’s world, it’s all about instant gratification. Iconic technology and photography brand Kodak has realized and capitalized on this idea by bringing its high-quality technology into the instant camera game. These chic and compact branded cameras capture every important moment and then allow you to digitally edit and instantly print lasting mementos of your favorite memories. Giving brand name promotional gifts not only shows your appreciation, it ensures longevity and continued use, meaning impressions that last well past the holiday season for your brand. 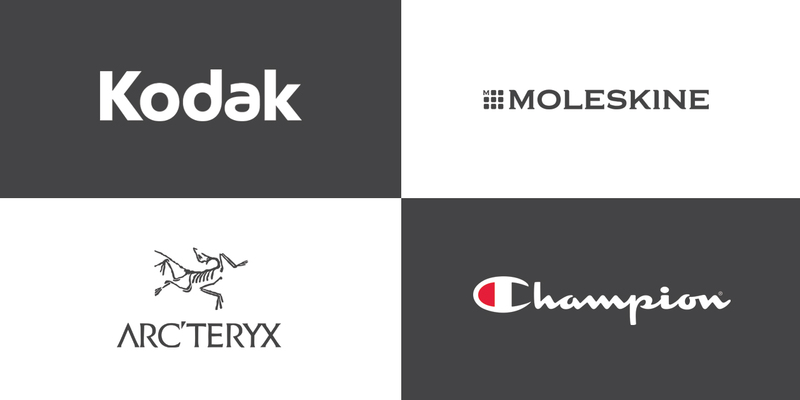 Find these name brands and even more, like Adidas, Oakley® and Carhartt, in the Seasonal Idea Book.